The ruthless time leaves many marks on every human being. With age, our skin loses on flexibility, but at the same time we get many age spots and wrinkles. Women, however, can at least seem to abolish these "problems" with the help of makeup. Joann Hopkins is a lovely mother of the famous stylist Christopher Hopkins, known by many as Makeover Guy. Joann is a big lover of makeup, and with her looks she excites everyone at every turn. 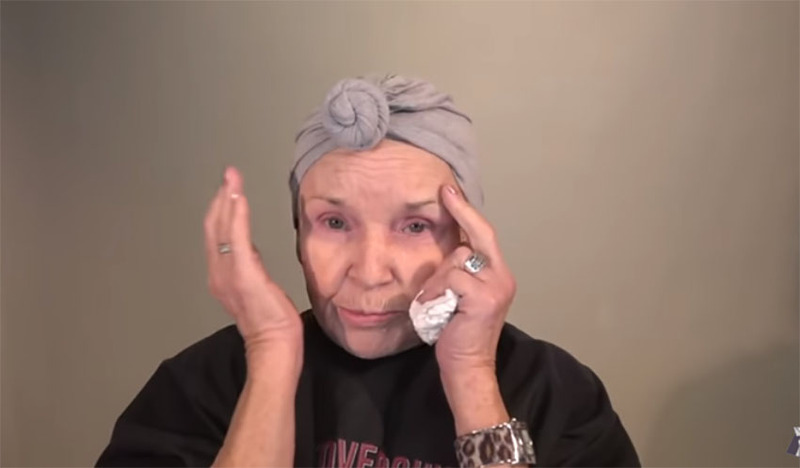 She says she was repeatedly listening to complains that she does not need a makeup at the age of 78, but she does not mind such accusations. She always wants to be beautiful for her and her closest! This time, she showed her make-up process in front of the camera, and with her new look she impressed many women around the world. She also excited those older women who have forget about makeup and beauty long time ago. When you see the final result of this makeover, you will be completely impressed over the image of the 78-year-old Joann. Would you believe that she is 78 based on the final image?